​ Central Bank of Savings Banks Finland Ltd received an ‘A-‘ credit rating for investment grade from Standard & Poor's. Credit rating agency Standard & Poor's Rating Services (S&P) granted the Central Bank of Savings Banks Finland Ltd a credit rating of ‘A-‘ for long-term investment grade and a rating of ‘A-2’ for short-term investment grade on 7 April 2015. The outlook is negative. The Central Bank acts as the central credit rating agency for the Savings Bank Group. The granted rating reflects an assessment made based on the criteria used by S&P. The assessment reviewed, for example, the business status of the Savings Bank Group, its financial performance, capital and liquidity buffers, risk profiling and fund-raising. The negative outlook from the S&P is due to the state of the Finnish national economy and its potential impacts on Finnish banks. The introduction of EU level regulation is also still incomplete, for example in regard to the bank union and implementation of investor responsibility, which is reflected in S&P's outlook. "We are very pleased to receive this good international investment grade rating. It supports our view that the Savings Bank Group is a strong, excellent option for both Finnish and international capital market investors. The credit rating is not just an important quality certificate, but it also improves our status in debt capital markets and thereby helps us to distribute our debt financing sources more widely. Therefore, we will follow our plans of launching an unsecured refinancing programme this spring." 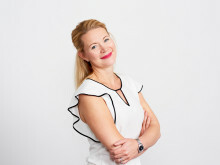 Kämäri points out that the goal of the Savings Group Bank is to create a strong, easily accessible and customer-orientated option for bank services aimed at Finnish households and companies. "During recent years, we have systematically built a competitive bank group for our customers, and part of this process was to receive an international credit rating. I am very pleased with the progress of the Savings Bank Group." The Central Bank of Savings Banks Finland Ltd is part of the Savings Banks Amalgamation and a member of its central institution, the Savings Bank's Union Coop. The duty of the Central Bank of Savings Banks Finland Ltd is to ensure the liquidity and fund-raising of the Savings Bank Group. It raises funds, operates in the money and capital markets on behalf of the group and manages settlements. The Central Bank also manages the internal balancing of the group's liquidity. Read more on the Savings Bank Group www.saastopankki.fi. Based on the additional financial information published by the Savings Bank Group on 27 February 2015, the financial result of the Savings Bank Group before taxes was EUR 63.1 million and the result for the financial year 2014 was EUR 46.6 million. At the end of the year, the group's balance was EUR 8.4 billion.The capital structure of the amalgamation of Savings Banks is strong: The capital adequacy ratio was 18.64% and the core capital adequacy ratio 16.88%. The Amalgamation of Savings Banks and the new Savings Bank Group launched their operations on 31 Dec. 2014. Luottoluokituslaitos Standard & Poor's Rating Services (S&P) myönsi 7.4.2015 Säästöpankkien Keskuspankki Suomi Oyj:lle pitkäaikaisen investointitason (investment grade) luottoluokituksen 'A-' ja lyhytaikaisen investointitason luottoluokituksen 'A-2'. Näkymät ovat negatiiviset. Keskuspankki toimii Säästöpankkiryhmän keskusluottolaitoksena.